And Lucie has been gracious enough to answer all my gruelling, probing questions so here's that interview for you. First question is a bit of a cliche but...How did you get into writing? For this I have my daughter to thank. By having her, I was forced to slow down and reevaluate what I was doing. I didn't really know where I was going in life, bouncing around between jobs and training in various things and then I fell pregnant. I was lucky enough to be a stay at home mum for the first five years of Gracie's life so in that time, I indulged in writing. I have always loved to read and had dabbled in the past with writing little bits and pieces, but it wasn't until I had my daughter that I decided to take it a bit more seriously. Fast forward four years and I went to see a clairvoyant who told me that something I was working on at that moment, I should go for it because I would be good at it. At the time I was writing. So the very next day, in 2010, I signed up with the London School of Journalism for a course on novel writing and the rest, as they say, is history! No I don't. I do lots of things day to day and try to fit in writing as and when I can! Alongside writing my books I also attend university as a full time student. I am studying for my degree in Early Childhood which I am actually due to finish this summer. I also work with children at a preschool and am a mother to an 11 year old. So lots of juggling to meet lots of deadlines. To read or to write? Writing wise I love writing real life stories. Stories that depict everyday people in everyday situations. I don't like long chapters as I feel it can drag on a bit and I love to write dialogue. When I am reading, again I like shorter chapters and I like shorter sentences too. Punchy, effective and descriptive. I also love reading YA and children's books too! A lot of the time I have a rough idea of character to begin with and they then develop and transform on the page as I write. I could be writing a scene and my character will react in a certain way and I will be like, 'oh, ok!'. You just have to go with it! The characters always have an element of reality to them. Writers tend to be people observers so we subconsciously take in peoples mannerisms, characters and dialogue naturally. This is then relayed on the page in various forms. So whilst none of my characters are replica's of people, they each have similar traits to those I have seen, heard and experienced at some point in my life. 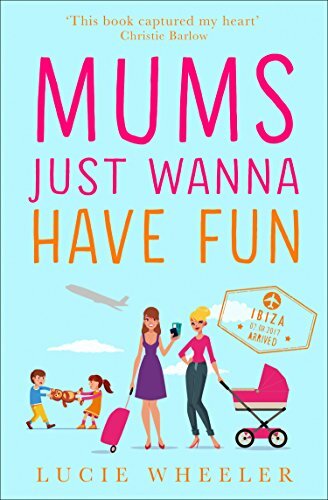 What was the inspiration behind Mums Just Wanna Have Fun? I always wanted to write a story about mum's who felt they weren't good enough. 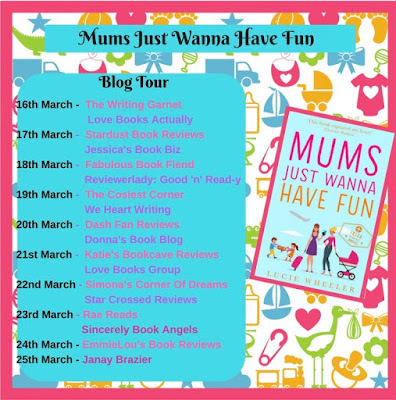 As a mum myself, and as someone who follows and watches lots of mum's online, I know that it is easy to feel like you are failing at parenting. The world can be an incredibly judgemental place for a parent so I wanted to write a story about this and show people that actually, you're doing great! I want parents to feel empowered and know that it is ok to not really know what you are doing - none of us do! It was also important to me to highlight some of the more challenging things some parents have to deal with such as autism, post natal depression and some other things that I don't want to give away! What is your writing process-do you map it out first? Write in chronological order? Writing, for me, is a bit of a blur and when I get to the end of the first draft I kind of look back and go, 'how did I get here!' I always have a loose plan and an idea, but nothing really fixed. I tend to do a lot of free writing to help get me in the story and get words down on a page. I once watched an interview with an author - although I cannot remember who it was - and they said, 'get the words down, you can't edit a blank page' and ever since that day, I swear by that. I even tell my university friends it when they are struggling with essays. Get the words down - you cant edit a blank page! So that's how I get a lot of my writing done. I just write it. I let the story lead me. I have an idea of characters, loose storyline, key points and a potential ending and then I just go for it. Sometimes the story changes, sometimes it doesn't. This particular book changed three times before it became this story! I knew what I wanted to say but I found it really hard to get it how I wanted it. I had to write - and lose - about 30,000 words before I found my direction with it. And I do tend to write chronologically. I can't write an ending before the actual story. I think I reflect a lot of myself actually. Pretty much all the characters I write have some kind of element of me in. Saying that, there are some parts of my stories that are not my own personal opinion but are needed for authenticity to a particular character. But generally I think with every author, snippets of their own personalities and beliefs drip through their stories. 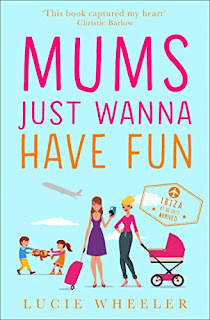 What kind of research did you do before/during writing Mums Just Wanna Have Fun? I would like to say that I listen to all the good ones and ignore the bad ones but I would be lying. As much as I would love to not let bad reviews affect me, there is always an element of disappointment when you hear that someone hasn't enjoyed something you have written. I have been very lucky so far (without jinxing myself!) that I haven't really had any terrible reviews. Not written ones anyway - I have had one or two low star ratings but never any text to justify them. But I read every review I come across and am so incredibly thankful for them. Even the ones which highlight things they didn't particularly enjoy, this means I can learn moving forward so I don't just expect positive reviews all the time, just as long as they are constructive in what they say. I love being tagged in reviews so I don't miss any, too, so if anyone reviews this one, be sure to tag me and let me know! Oh, most definitely! I couldn't do this without the incredible support I get from my friends and family. My husband and daughter put up with a lot at home. When I get stressed, when I have to get up really early or work really late to hit deadlines. And when we get nearer to deadline day and dinner is late or the washing isn't done - they understand that it is what needs to happen for me to get things done. I couldn't do it without them. And my friends are incredible too. I sometimes have to cancel arrangements or work whilst with them with one eye on the screen and one listening to them! But they completely understand and support me every step of the way. It would be really hard to do this if I didn't have that from them all. Nervous, sick, excited, worried... so many emotions go through my body in the lead up to a book being published. Having worked so hard on a particular piece and then knowing it will be out there for people to judge is scary. You literally lay your heart on the line and wait for people to judge you! But that is all part of doing what I do, it comes with the job. That moment when the first review comes in - if it is a positive one - is incredible! All those blood, sweat and tears paid off and people actually enjoy your work. There are no words for that feeling. And that is just for readers, it's a whole other story for when people you know personally read the book. Are they going to think it is rubbish? Are they thinking 'is that it? Is that what you have spent months stressing over?' Of course, no one ever says that to me and they're always very proud, but it doesn't stop the self doubt and self critical part of you going into overdrive the night before publication. But ultimately, it is a wonderful thing to experience - like the lead up to Christmas or your birthday. I am actually working on some children's books at the moment. Alongside finishing off my coursework and dissertation for university and planning out a YA series. I will have to start drafting my next chicklit book soon too... I think I need more hours! And don't forget to stop by the other blogs on the tour for more exclusive and fabulous content!